Practically perfect in every way! 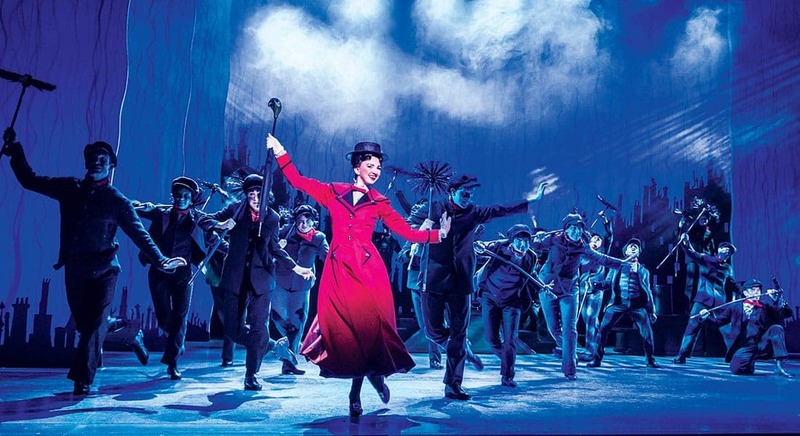 Just like the heroine of the long-time favourite film, this musical production of Mary Poppins from Disney and Cameron Mackintosh comes as close to being pretty darned perfect as is possible. 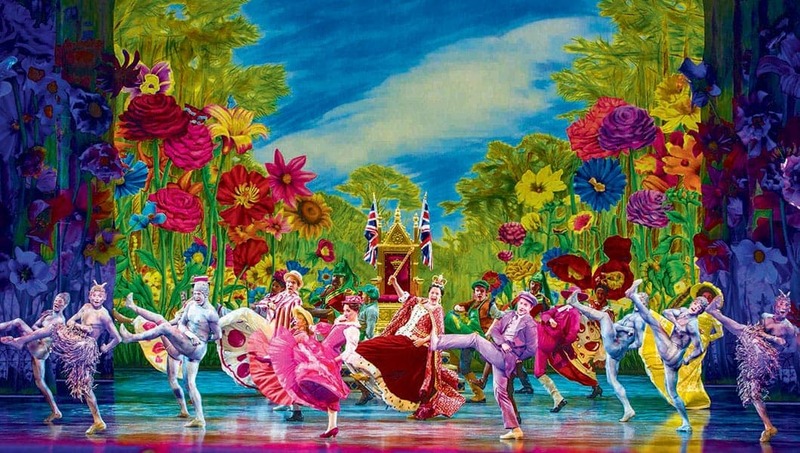 A riot of colour, dance, songs old (and newly written for the show), magic and fantasy, the show makes a fantastic family night out for Xmas and the new year holidays, dispensing a does of magic to firm fans and a new generation with ease. 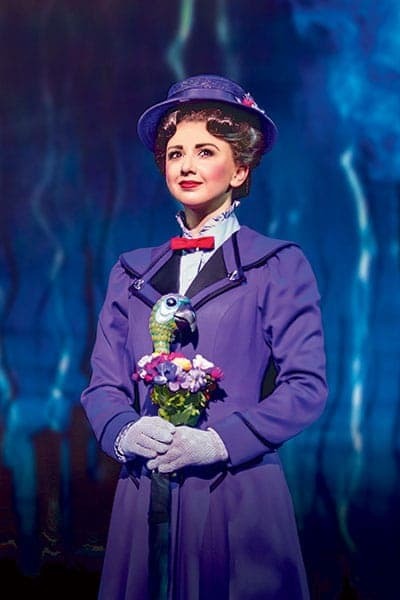 Zizi Strallen as Mary Poppins – IS Mary Poppins. She couldn’t be more perfect, delivering the enigmatic, no-nonsense, spit-spot, forthright but loveable character with absolutely exacting poise. And she has a beautiful voice and gorgeous grace on the dance floor, too. 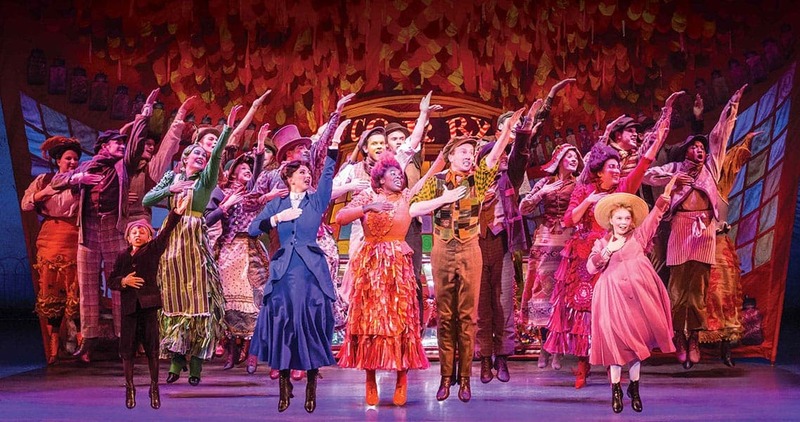 Matt Lee is smashing as Bert – energetic and likeable, his tap-routine in Step-in-Time was particularly toe-tapping and his duets with Mary were gorgeous. 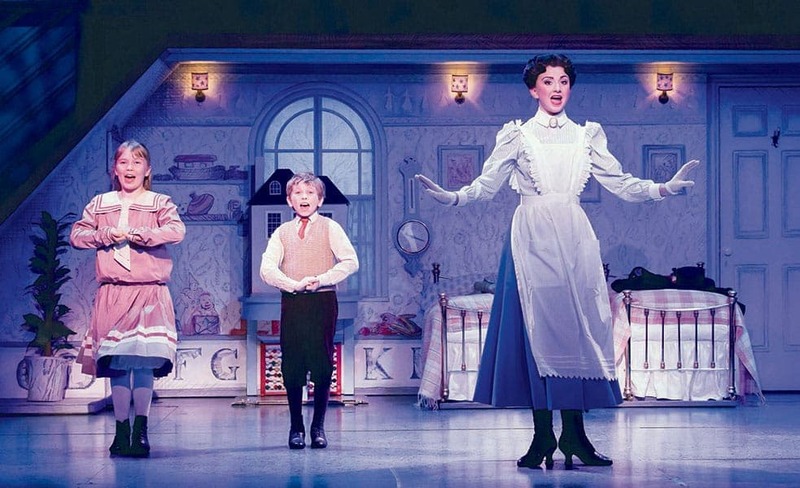 As well as the usual characters from the film, this stage show incorporates new characters and story-lines from the original book by P L Travers, meaning even those of us who know the film from back to front are left wondering what comes next. 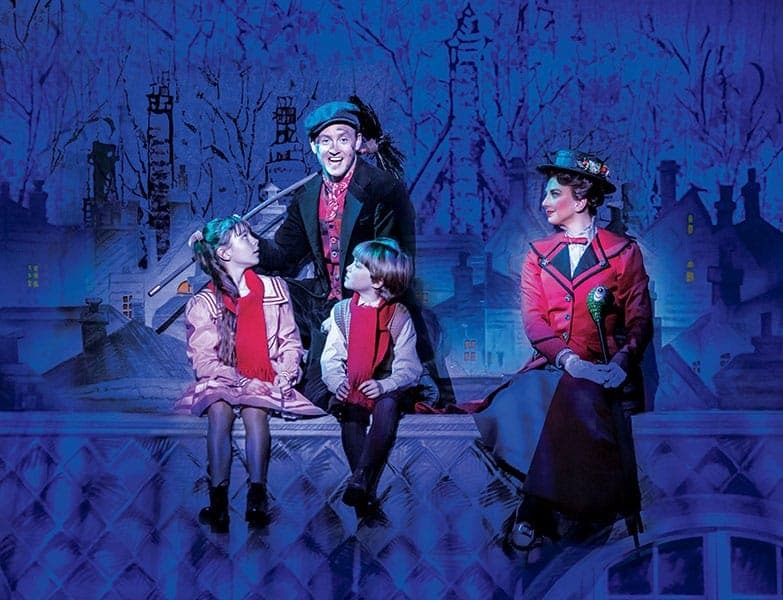 The scenery is spectacular – with backdrops like the Banks’ family home opening up like the pages of a storybook, for example. Special effects (think Mary soaring into the audience and Bert walking up walls and on ceilings) won’t fail to bring smiles to everyone’s faces. And bravo to the young actors playing Jane and Michael (Felicity Biggs and Lewis Fernee) who were faultless through their many long scenes.